The original image was produced as a result of a commission from the Island of Jersey in 2004 for a portrait of the Queen to commemorate the island’s 800 year allegiance to the crown. It was recorded in the Yellow Drawing Room at Buckingham Palace. Two sittings took place and 10,000 images were made. 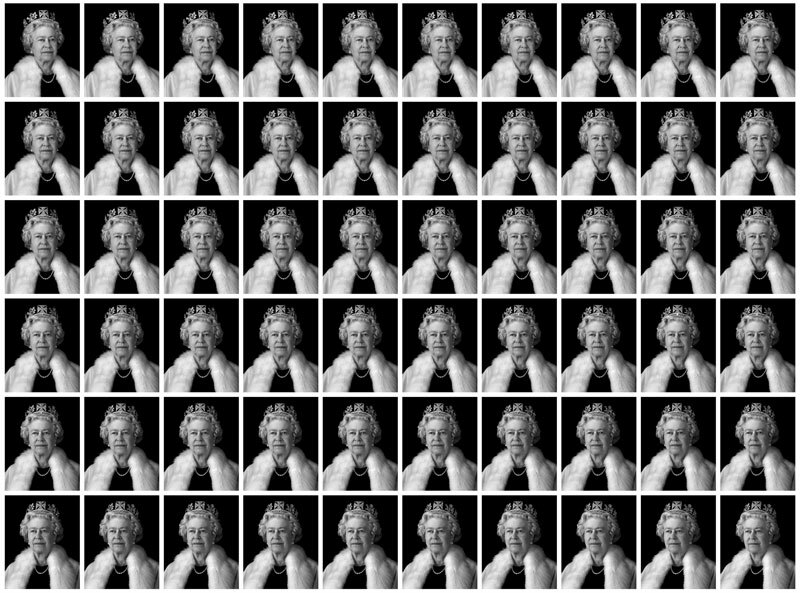 Equanimity was the first holographic portrait of the Queen, producing a virtual effect that cannot be replicated on paper. Equanimity 60 was produced as a result of this project. Throughout the sitting the Queen remained animated and demonstrated her extensive knowledge and enthusiasm for photography. Equanimity was selected by The National Portrait Gallery as one of the iconic images of the Queen to represent the C21st in their Diamond Jubilee exhibition.